I reviewed an ARC, provided by the author. I don’t want to give away spoilers. So this review will be light on details and more on the general impressions. 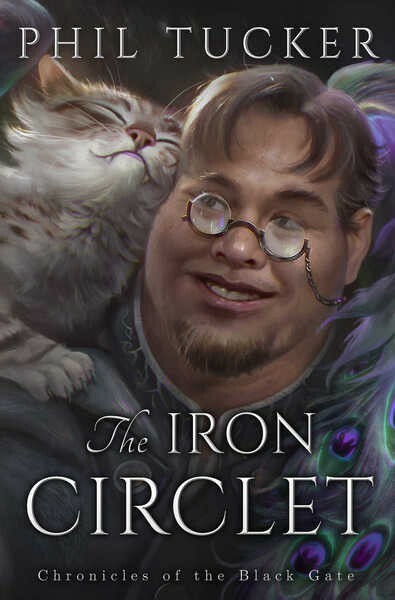 ‘The Iron Circlet’ is the fourth book in the phenomenal ‘Chronicles of Black Gate’ series, by Phil Tucker. It continues the story from ‘The Siege of Abythos’. Tharok has run over all the defenses that the humans had. Asho and Kethe are still coming to terms with their power and their feelings for each other. Audsley is deep within the Fujiwara clan. Iskra has come to terms with the Ascendant. This book overturns everything you have learnt so far and takes the plot to places for which I can’t wait to see the resolution. The pacing is excellent, and I had to finish the book in one sitting. The World Building continues to intrigue us. There is plenty of soul searching on what faith actually is or is not. This is by no means ponderous or pontificating. The action, as always, is brutal and there is a substantial amount of it. And the climax, OMG, the climax, will leave you speechless. Overall, ‘The Last Circlet’ is a book I enjoyed thoroughly. I recommend this as a must read for any fantasy fan. I will link to the Goodreads and Amazon pages once they are available.